There’s a tiny amount of news coverage about the Open Houses required by FERC, all of which are listed on the calendar. The resume Monday evening in Lumpkin, GA and Williston, FL. 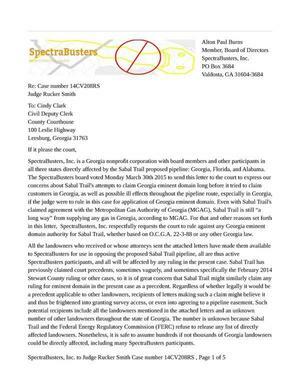 Before that, Monday morning, the Lowndes County Commission, Georgia, is having Spectra speak at their 8:30 AM Monday 9 December Work Session, to answer questions submitted in advance by the public. 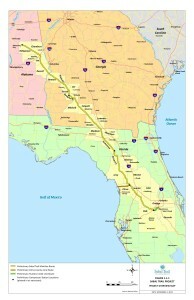 Sabal Trail Transmission, the company building a 474-mile natural-gas pipeline from Alabama into Florida, has begun a round of open houses for the public and will host one Thursday evening for Alachua and Gilchrist counties. 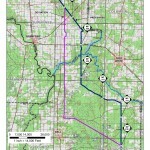 The open house will run from 5 p.m. to 7:30 p.m. at Bell High School, located at 930 S. Main St. in Bell, and provide an opportunity for people in the community to learn more about the pipeline that eventually will run through the area.